BETHLEHEM TWP. 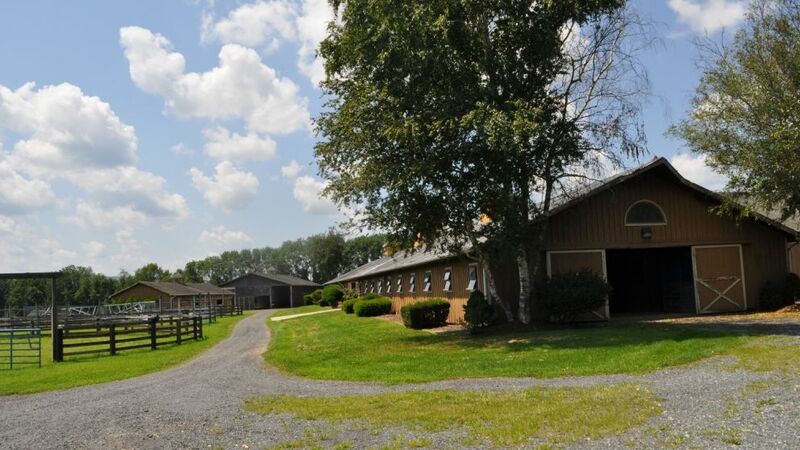 - A former 144-acre equestrian center in the Musconetcong River Valley will be offered at a public auction on Sept. 27. Max Spann Real Estate & Auction Co. has scheduled an auction for 1 p.m. on the site of the property, Hidden River Equine Farm, at 222 Asbury-West Portal Road in the Asbury section of the township. The center sits on preserved farmland. Previews will be held noon-2 p.m. on Sept. 9 and 13. "This farm combines top soils, river frontage, majestic views and easy access to Interstate 78 west," said Max Spann, Jr., president of Max Spann. "Farms like this rarely come to market, which makes this such a unique opportunity." The property includes a 35-stall barn with an attached apartment/office, a stud barn with four stalls, a 100-foot by 200-foot indoor arena, nine paddocks with run-in sheds and a 38-foot by 120-foot feed barn. "This property is ideal for the nature enthusiast, with an abundance of wildlife for birding, fishing and hunting," Spann said. The main residence has an in-law suite that, according to the auction firm, can be re-configured for farm labor housing with separate apartments. The property's preserved farmland status does allow for the construction of a new home.